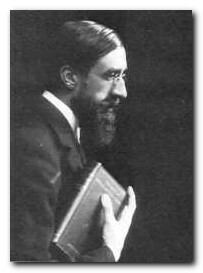 Lytton Strachey (1880-1932) was born at Clapham Common and raised at Lancaster Gate, in central London. He was the eleventh of thirteen children, to General Sir Richard Strachey (an engineer) and his wife Jane Grant. Though he spent some years at boarding schools, including Abbotsholme and Leamington College, he received much of his education at home. His mother took an interest in literature and politics, and Strachey met many of the leading writers and thinkers of the day when they came to visit Lady Strachey. His secondary education was completed at University College in Liverpool where he studied Latin, Greek, mathematics, and English literature and history. It was there that he met and was influenced by Walter Raleigh, a professor of English literature and well known biographer. After failing to receive a scholarship to Oxford in 1899, Strachey decided to attend Cambridge where he developed many friendships which lasted the rest of his life. At Trinity College Cambridge he met Clive Bell, Thoby Stephen (Virginia Woolf’s brother) John Maynard Keynes, and Leonard Woolf. 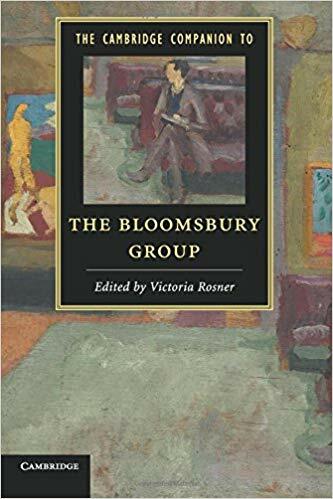 Along with many other future members of the Bloomsbury Group, he was elected to the Apostles Society, and he also won the Chancellor’s medal for his poem, ‘Ely: An Ode’. In 1903 fellow Apostle G.E.Moore’s Principia Ethica was published, producing a profound effect on the aspiring intellectuals. The Principia became a rationalizing factor in loosening the repression of homosexual tendencies among the Apostles and in Trinity and King’s College as well. Strachey completed his work at Cambridge with a thesis on Warren Hastings but failed to receive a Trinity fellowship. He returned to his parents’ home in Lancaster Gate and sought to support himself as a journalist. Much of his social life centred on the Thursday night ‘at-homes’ of the Stephenses – Thoby, Adrian, Vanessa Bell, and Virginia Woolf. He contributed book and drama reviews to The Spectator magazine, published poetry, and wrote an important work of literary criticism, Landmarks in French Literature (1912). During the First World War, he was a conscientious objector, and spent much time with like-minded people such as Lady Ottoline Morrell and other members of the Bloomsbury Group. In 1915 Strachey met Dora Carrington, a graduate of the Slade School of Art and the woman who devoted herself to him for the rest of his life. In 1917 Strachey and Carrington moved into a cottage in Tidmarsh, Oxfordshire, and continued to carry on with their separate personal lives. Carrington maintained a relationship with fellow artist Mark Gertler before marrying Ralph Partridge, and Strachey moved through a series of relationships with a series of men. His first great success, and his most famous achievement, was Eminent Victorians (1918) a collection of four short biographies of Victorian heroes. With a dry wit, he exposed the human failings of his subjects and what he saw as the hypocrisy at the centre of Victorian morality. His portraits of Cardinal Manning, Florence Nightingale, Thomas Arnold, and General Gordon changed perceptions of the Victorians for a whole generation. This work was followed in the same style by Queen Victoria, a work which used elements of romantic fiction and melodrama to create a warm, humorous and very human portrait of an iconic figure. We see Victoria as a strong-willed child, as the 18-year-old girl queen, as a monarch, wife, mother and widow. Equally fascinating are her relationships with Peel, Gladstone and Disraeli, with her beloved Albert and her Highland servant John Brown, all of which show a different side of her staid, pious image. Strachey’s literary style was becoming very popular and he began to achieve a measure of fame which allowed him to support himself and his household from the proceeds of his writing. In 1924 he purchased the lease to Ham Spray House and moved in along with Carrington and Ralph Partridge. He completed Elizabeth and Essex in 1928 and started editing The Greville Memoirs, a project which was completed posthumously by Ralph and Frances Partridge and Roger Fulford. Though his frequent ill-health often made it difficult, Strachey enjoyed travelling and made several trips abroad between 1928 and 1931. One of these excursions is described very humorously in Gerald Brenan’s memoir, South from Granada. Late in 1931 he began to decline rapidly from an illness which doctors were unable to identify. He died January 21, 1932, of what was later found to be stomach cancer. His famous deathbed bon mot was: ‘If this is dying, then I don’t think much of it.’ Distraught at the loss of her soul-mate, Carrington made two attempts to commit suicide. The latter was successful when she borrowed a gun from her neighbour and shot herself. Strachey’s Letters This collection reveals the poignant love-affair between him and the painter Dora Carrington, plus his affairs with Roger Senhouse and his cousin Duncan Grant. He also wrote almost every day to Leonard Woolf on politics, literature, and life – and he correctly predicted to Maynard Keynes that their sexual proclivities and attitudes put them a hundred years ahead of their time. Includes new materials unknown to previous biographers, almost every item revealing Strachey as a witty, gossipy, and sparkling character. These are very tragic figures, “Bohemian” indeed. Carrington is especially tragic because of her apparent clinging nature, and due to the fact that she decompensated after Strachey’s slow, painful death.